Testing of a software is an important activity to ensure the quality is good and will last longer performing resourcefully when pushed to maximum capacity. After the developer is done with the programming, a number of tests have to be executed to check the functionality, user experience and other aspects of the software. Nowadays, automated testing allows organizations to build better software products with less effort while reducing the extra cost and labor used in manual testing. It also helps to increase the depth and scope of tests to improve software quality. Moreover, it enables the tester to perform lengthy tests that are often skipped during manual testing. In addition to this, organizations prefer open source testing tools rather than highly expensive paid tools. Open source testing tools come with significant functionalities to perform automated testing of software products. One of the popularly used open source tools for automated testing is Selenium having various out of the box functionalities that give it an edge over the competition. With time, Selenium is becoming more popular and preferred tool for organizations to perform automated tests to check the functionality and UI of a software product. Let's discuss a few reasons why Selenium is so good to use. Flexibility: Developers often keep the testing code within the program itself. These test codes can be altered as desired which allows quick changes to the code, reducing duplication and improving maintainability. 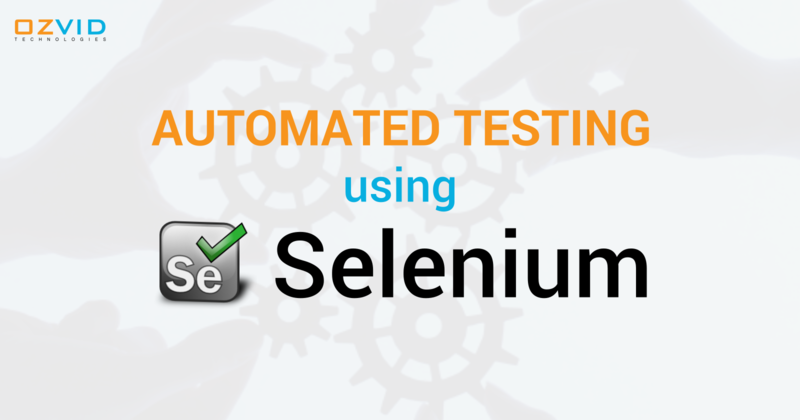 The flexibility of Selenium allows developers to execute tests better. Environment Support: One of the most frequently faced challenges by the testers is integrating the testing tool with the development environment. With Selenium, testers do no face this problem as it is very easy to integrate Selenium with any development environment. Platform Compatibility: Selenium is a highly portable tool that runs on multiple platforms as well as browsers. It, therefore, allows automation engineers the ease of writing code without worrying about the platform on which it will run. Open Source: As Selenium is an open source software, its code can be modified and altered as per the requirements. This saves a huge amount of time and efforts of the developers, therefore, increasing ROI. Remote Control Server: The remote server of Selenium allows testers to build a test environment which is spread over multiple locations including cloud to drive the scripts on a large set of browsers. With a wide range of useful features, Selenium automated testing serves as a key tool for browser compatibility testing, user interface testing and system functional testing. Without any doubt, it is simple and flexible to use and at the same time very strong when compared to other available tools for automation testing. If you would like to discuss this outstanding testing tool with an expert, reach us out.